Smartphones seem to be getting more and more expensive every year; seemingly at the expense of sales for some of the bigger phone makers. That's why companies like Apple and Samsung have been looking into lower-cost, minimum-compromise alternatives for their budget-conscious customers. 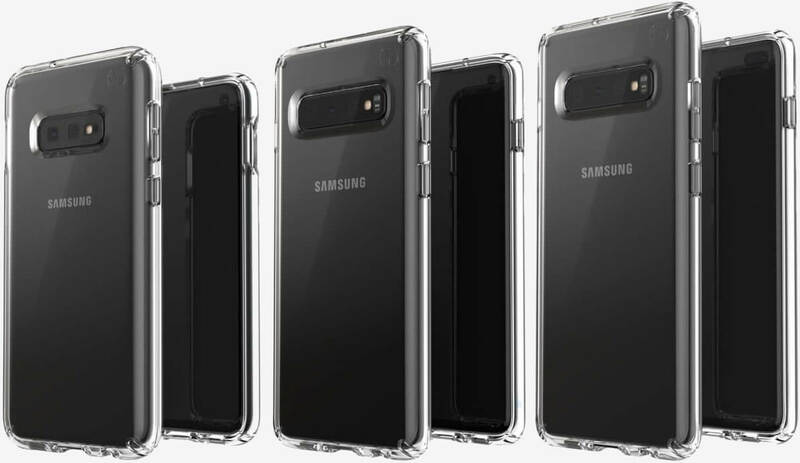 For Apple, that meant the iPhone XR, and for Samsung, it could mean something called the Galaxy S10e - a device that may have just had its design and official name revealed via three photos provided by Slashleaks. Obviously, the pictures are hardly what we'd call high quality. However, if they are legit (and it seems like they are), they are still the closest thing we have to real confirmation that a smaller, cheaper S10 model is on its way. Given that previous rumors suggest the top S10 models could be as costly as $1,189, giving customers a slightly more affordable entry point in the form of the S10e (assuming its formerly-leaked price of $885 is accurate) could be a major boon for the company. The pictures also once again confirm that Samsung's S10-series devices will forego notches and bezels in favor of a "hole-punch" camera design. Other than mostly reiterating what we already know and giving us the S10e's real name, though, this leak doesn't provide us with much in the way of new information. However, if previously-leaked data is anything to go by, we can expect the S10e to have a roughly 5.8-inch screen, and what seems to be slightly larger bezels than its other, more expensive S10 cousins. Unfortunately, the phone will compromise by ditching the in-display fingerprint reader and fewer cameras. Samsung is expected to officially unveil its Galaxy S10 smartphones on February 20 at its Unpacked event.